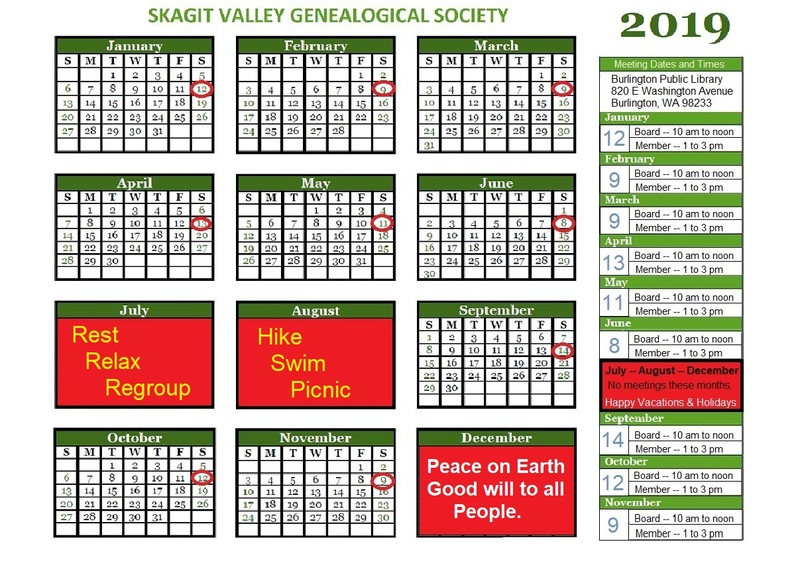 The history book project started 10 years ago this fall (2002) and was spear-headed by board members and co-chairs Hazel Rasar and Dan Royal along with a sub-committee of the Publication Committee. It is our delight to offer this momentous work for your purchase and enjoyment. 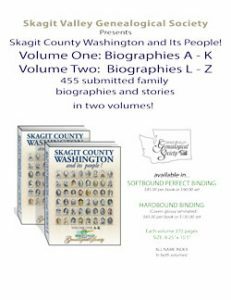 Click on the printer icon to print the online application for purchasing your copy or copies of the Skagit History book, “Skagit County, Washington & Its People!”. Please complete the application and mail it along with your check to the address listed below or you can pay by clicking the PayPal buttons. In order to expedite the delivery of your online book(s) purchase, we are asking you to complete the following form. This information will be directly emailed to our publication and shipping person. You will also have to complete the printed application or the PayPal selection in the sidebar. Thank you for your purchase. WHICH BOOK(S) DID YOU BUY? Volume 1 A-K $45.00 USD Volume 2 L-Z $45.00 USD Volume 1 & 2 (Set) $90.00 USD None of the above. 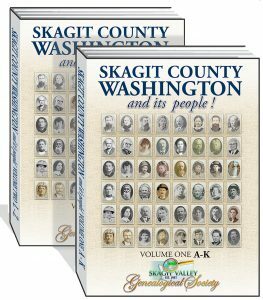 Volume 1 A-K $65.00 USD Volume 2 L-Z $65.00 USD Volume 1 & 2 (Set) $130.00 USD None of the above. Do you have any comments or questions about the HistoryBook purchase?